Last time we tested your Beer IQ with THE BEER QUIZ. This time, we’re challenging your homebrewing knowledge with The Homebrew Quiz. Just like before, there are three levels to The Homebrew Quiz: Normal, Challenging, and Hard. It’s recommended that you begin with the Normal Homebrew Quiz, and then proceed from there, however all three levels are provided below. 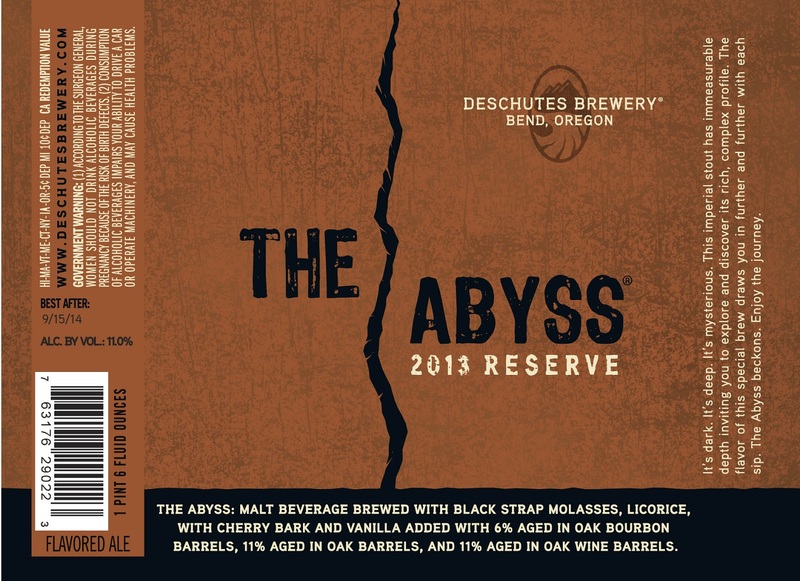 Having trouble sourcing a bottle of Deschutes’ The Abyss (rated a World-Class 100 points by BeerAdvocate)? 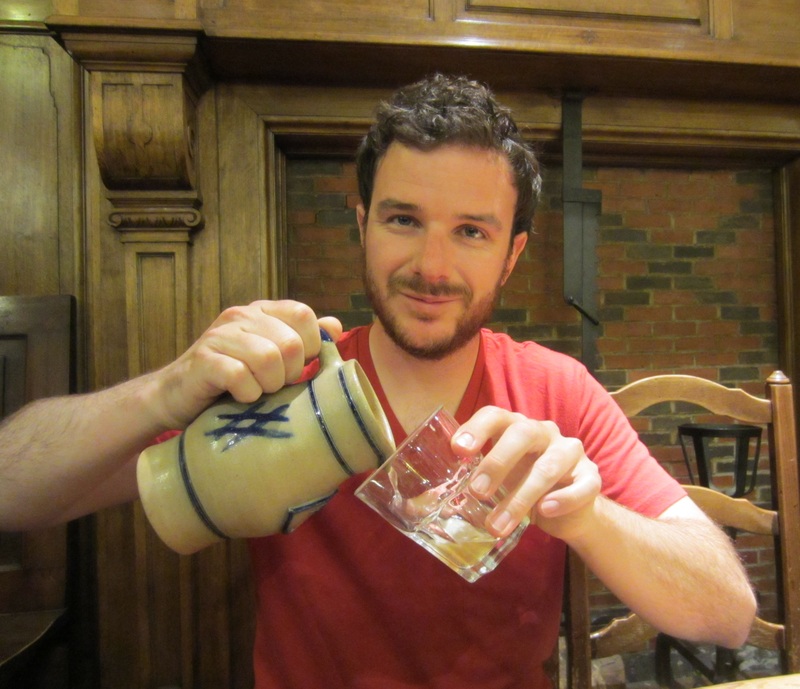 Don’t feel like arranging an online beer trade? Well, if you’re a homebrewer and know a thing or two about recipe formulation, Deschutes Brewery has been so kind as to point you in the right direction by revealing many of the key details of several of their tasty brews ranging from the hopped up wit beer, Chainbreaker White IPA, to yes, even the dark, immeasurably complex Imperial Stout, The Abyss. Oh, one hint on replicating The Abyss: The brewery has indicated that they add blackstrap molasses and Italian brewer’s licorice (presumable to the boil), then vanilla beans and cherry bark to the finish (secondary). After which point, 28% of the brew is barrel-aged for 6 months in barrels: 6% bourbon barrels, 11% Oregon Oak, and 11% Pinot Noir, and then blended. Of course this particular barreling aspect will be difficult to reproduce at the home level, which is where some creativity will be required. Your final ABV should fall between 10-11%, and bitterness should come in at a whopping 86 IBUs to balance out the copious amount of malt. For Black Butte Porter clone tips, Deschutes’ flagship brew, try fermenting with Wyeast 1187 Ringwood Ale yeast, but make sure to allow a sufficient diacetyl rest unless you’re shooting for Black Butter Porter. Ringwood yeast can be finicky and slow starting, so pitch a healthy starter (1 million cells per Plato), and plan on an attenuation of 68-72% with high flocculation (great for clarity). 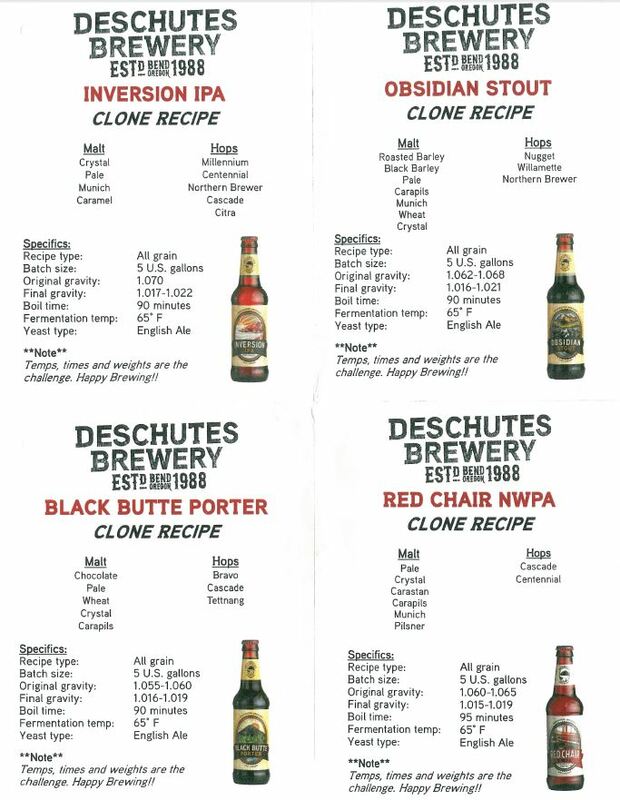 Deschutes uses a proprietary house yeast for their Black Butte (and probably anywhere else where you read the words “English Yeast” on their recipes), but per the head brewer, Wyeast 1187 is your best bet. 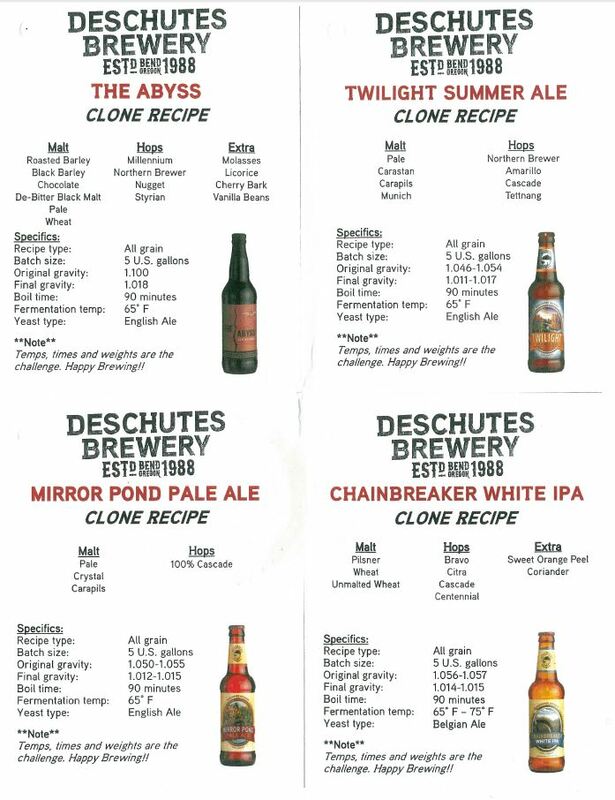 If you really want to nail the particular biscuity English yeast profile, you can try your hand at reculturing some yeast from a bottle or two of Black Butte (link: How to Harvest Yeast From a Beer Bottle). It’s not as difficult as some might think, not to mention, you’re saving on yeast money! Here’s another idea: reculture some yeast from a bottle of Black Butte (using a bomber would probably be easier), but also buy a vial of Wyeast 1187. Once your wort is chilled, split the batch into two fermentors, adding the Wyeast 1187 to one batch, and your recultured yeast to the other and see which one you think is closer once everything’s said and done. Wheat was revealed to be the secret ingredient in Black Butte that aided in the brew’s head retention and creamy, silky mouthfeel, and should make up approximately 8-11% of the grain bill. The recipe also calls for about 5-7% Chocolate Malt with roughly equal parts American (Briess) and English (Hugh Baird) Chocolate Malts. The rest of the grain bill is made of domestic 2-Row Pale Malt, Carapils for body, and a fair amount (about 5%) of 75L Crystal Malt, but anything between 70-80L should work. Starting gravity is between 1.055 and 1.058, and final gravity is 1.016 – 1.018, leaving you with an ABV of around 5.6%. Per the head brewer, you’re looking at an SRM in the low 60s (60-61), however this seems a bit high. 25-30 SRM might be more like it. Brew with somewhat hard water; if necessary add some gypsum to about 129 ppm to end up with basically a neutral pH of 7.1. Mash-in at 130°F for 10 minutes, then raise to a conversion temperature of 156°F (plus or minus 2 degrees) for 60 minutes, and finally mash off at 168°F for 10 minutes to create some additional alpha amylase activity. Your pH after mashing should be around 5.1-5.2, and then 4.4-4.6 after fermentation. The prescribed 90 minute boil time is incorporated in order to produce a bit more caramelization and also to accentuate the chocolate malt. As far hops go, Deschutes recommends staying away from citrusy hops. In the past, Deschutes used to use either Galena or Nugget at boil for the bittering addition, but now appears to have switched to Bravo. However, they’ve stuck with Cascade and Tettnanger for the flavor addition at 30 and 10 minutes before knockout, respectively. IBUs should fall in the 28 – 32 range. Ferment at a max of 65°F in order to reign in the fruity esters.